Tonight, join the Sapinda Rainbow Foundation for it's massive party in Cape Town featuring award-winning beats by South African sensation and ‘Breakthrough DJ of 2015’ Black Coffee. Everyone’s invited, wherever you are in the world! The 300 tickets the Sapinda Rainbow Foundation has given to the Clipper Race for the world’s biggest house party with award-winning DJ Black Coffee can now be reserved using this online form. Don’t miss out on the chance to celebrate your involvement with the Clipper 2015-16 Race in the Dance Nation of the Year 2015, South Africa, during our stopover in Cape Town. Although there are just 800 ‘free’ tickets available to join the party at the Grand Café, supporters from around the world are invited to host their own ‘house’ parties with Black Coffee via an exclusive video web stream from the party. The Sapinda Rainbow Foundation has created the innovative global event to launch fundraising for its 2015-16 charity project, the South African NDLOVU Care Group’s HIV/AIDS Research Centre. 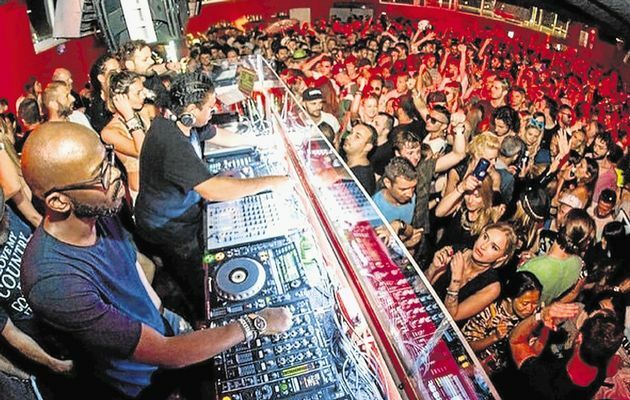 “The main party will take place in the Grand Café in Cape Town from 7pm until 1am local time but we want to create the world’s biggest house party by encouraging people around the world to hold their own parties in unison with Cape Town and invite their friends round to join in via our live web stream,” explained Sapinda Rainbow founder Dirk Van Daele. The party is a fundraiser for the NDLOVU Care Group’s HIV/AIDS Research Centre and you can make a donation using this justgiving page. For more information on the party, the Sapinda Rainbow Foundation and the NDLOVU Care Group click here. Richard Branson has sent Sapinda Rainbow Foundation a message of support encouraging people around the world to invite their friends round and tune into the web stream to help create the world's biggest house party. He said: "Amazing that Sapinda Rainbow Foundation could get DJ Black Coffee; but then again NDLOVU is unique. Let's all tune in on 27 October!" To get the latest news on the event, check out the Facebook page. House music DJ Nkosinathi Maphumulo, popularly known as Black Coffee, was announced as the Breakthrough DJ of the Year at the prestigious DJ Awards in Ibiza this summer where South Africa was also crowned Dance Nation of the Year. Black Coffee was born in Durban in Kwa Zulu Natal and grew up in the Eastern Cape in Mthatha, before moving back to Durban to study music at Natal Tech where he majored in Jazz. He was chosen as one of two South African participants in the Red Bull Music Academy in 2003, thrusting him into the South African DJ scene. His first big break was when his song “Happiness” was featured on the DJs at Work album. Over the past five years, Black Coffee’s company Soulistic Music has built a worldwide network of exclusive track licenses, tours and agents giving him and other artists their real break into the international touring market where they have become regular features in cities from Sydney to New York, Sao Paulo to Luanda and Los Angeles to Athens.